This tiny downtown pizzaria is pulling in some big bucks through a highly illegal, but incredibly delicious side business. The owners of this greasy establishment sell more than pizza pies and diet pepsi -- they also peddle a variety of tasty, drugilicious concoctions. Pot brownies, hash butter, cocaine cola, mushroom soup, opium tea, whatever your epicurean heart desires, these pizza pros have it. Their buffet of treats is sure to leave you with a good, long buzz. Their prices might not be the best in the city, buty they're one of the most reliable providers in town. Not only can you buy your high on the premise with a simple code word and a knowing wink, you can also have your choice of munchies delivered to your flat. The pizza boys cover most of the island of Montreal, though the further out you are, the more you'll have to pay for the delivery. Thank the pizzaria's owner's son for the existence of this incredible drug buffet. He used to work as a delivery boy for his dad, and eventually noticed that three quarters of his customers were high on pot. He realized that most druggies are too damn lazy to make their own food, and often order out to satisfy their cravings. He figured he'd satisfy two of their needs with one trip, and started offerering them drugs to go along with their pizzas. He was worried about what his dad would do if he ever found out about his little operation, but to his surprise, when the dad eventually figured out his son was dabbling in the drug trade, he didn't chastise the boy -- he egged him on. He told his son he should broaden his horizons. Stop focusing on pot, and start focusing on every drug under the sun! And don't just give it raw, but cook it, bake it, shake it, and make it tasty. The son obliged, and created the now legendary buffet. Business is booming and the father and son drug dealing duo are now talking about starting some franchises. The only thing standing in their way is their fear of getting caught, but considering the incompetence of the justice system, that's not all that likely. A justice system that has spent over a hundred million dollars on a single trial -- the Pickton case -- is a system so inefficient and incompetent that it's a marvel that any bad guys are ever caught. Not that these pizza pioneers are bad guys, though. They're anti-heroes who risk the wrath of a remorseless, contemptible, and dehumanizing state apparatus, all because they engage in consensual trade with nominally free adults. The good news, though? Each time you get high, you punch the government in the nose. That's no joke: every law you break that doesn't result in police action against you helps undermine the state's legitimacy. Each time you toke up, each time you sniff a line of candy, each time you drop a tab of acid, you are rejecting the government's authority over you. These tiny acts of rebellion are accretive in nature, and overtime, they start joining together to create a culture of contempt for the state and it's power over people. That doesn't mean taking drugs is going to topple the government, but it does mean that taking drugs can help turn the government into a farce worthy of ridicule and scorn. Ravers, your body isn't state property. 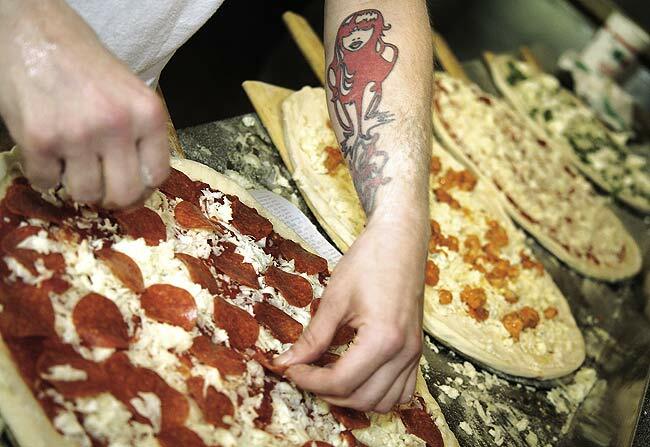 Prove it to yourself by finding these fine purveyors of tasty pizza and delectable narcotics. Order up a storm! Their current special, the Party Combo, is pretty epic. It includes a pizza pot pie, a two litre bottle of cocaine cola, a small tub of hash butter, and a loaf of poppy bread. Delicious? You bet.